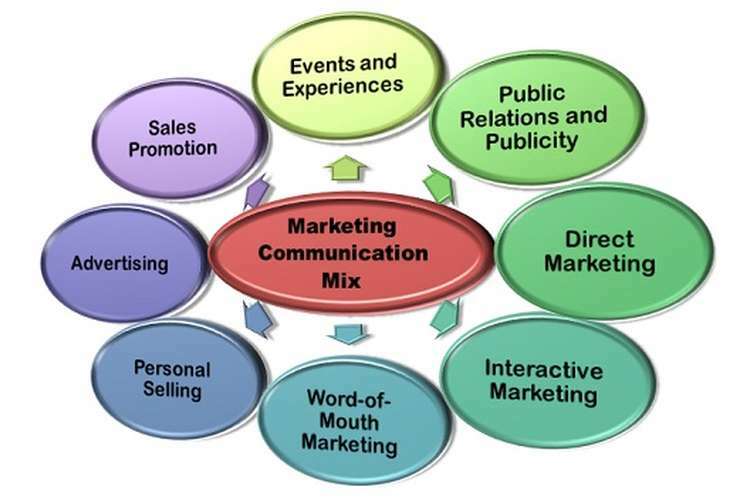 Marketing communication mix can be defined as a set of tools used to communicate with the consumers, stakeholders, and investors. 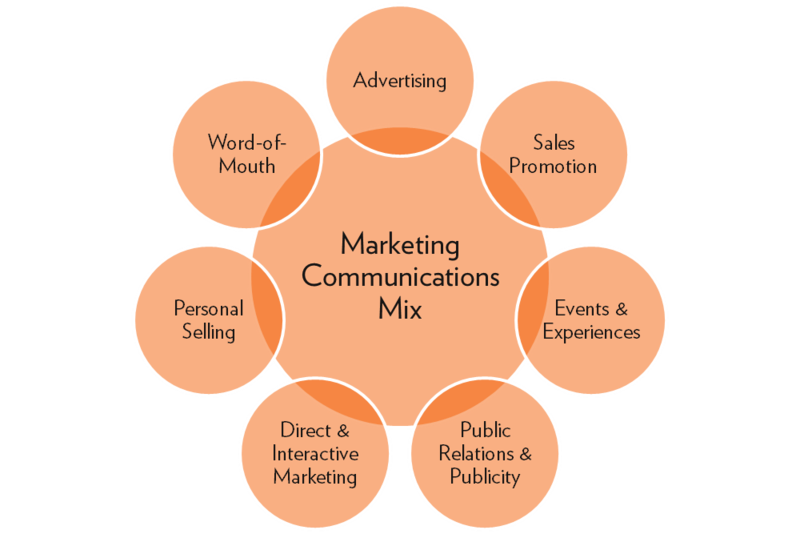 There are five key elements of the marketing communication mix. These elements include advertising, public relations, sales promotion, personal selling and direct marketing research. Advertising can be defined as the paid promotion of a product/services by an identified sponsor. Advertisement can take place on television, radio, internet, newspaper or magazines. Public relations refer to the establishment of a positive corporate image with the media and relevant stakeholders who want to know more about the organization. When it comes to sales promotion, it can be defined as short-term incentives being offered by an organization to make consumers know more about a new product. Personal selling is a direct approach to consumers where the sale’s representative will be selling products directly to consumers. There is also direct marketing where the targeted messages are meant for a specific market segment with a population such as gender, ethnic group or race. With this kind of marketing, an organization produces goods selectively purpose meant for them. Cioccollato Australia is a dessert restaurant which uses a variety of marketing elements to make its presence known to its consumers. According to the case study, Cioccollato uses digital marketing which is a form of advertisement. The company has focused its digital marketing in two areas mainly; the website of the company and the social media. When it comes to the website of the company, there are different information which is placed for consumers to be aware of the existence of the company and the types of products/services being provided. As an illustration, within the website of the company, the following information will be found: background information of the company, menu and prices, opening hours, reservations, location and contact details (Paul, Bhuimali, Aithal & Bhowmick, 2018). When it comes to the social media, the company uses Facebook, Twitter, and Instagram. Cioccollato has used the social media in different ways. First, it has used the social media as a way of attracting the millennials who are much into technology and the social media. The age group that has been targeted by the organization is between 10-18 years. Additionally, the evolution of consumer behavior due to advanced technology makes social media a marketing tool that should be adopted by all organizations across the globe. Its major advantage is that it is less costly compared to another method of advertisement. Social media has been used by the organization to assess brand likes, consumer engagement, and sentiments (VanMeter, Syrdal, Powell-Mantel, Grisaffe & Nesson, 2018). These metrics make it easier for the organization to track their online presence and consumer awareness about the organization. Generally, digital marketing has been used by the organization with an objective of co-creating products with the targeted consumers. With this, consumers feel more connected to the organization due to the efforts they are decision making towards new product development. These types of consumer engagement increase consumer loyalty hence leading to increased sales and brand awareness. All these benefits increase the competitive advantage of Cioccollato. Ciocollato has also been able to use radio which is a form of advertisement. This is a traditional method advertisement having less impact compared to digital marketing. However, it’s still effective because people may be aware of the company since more people listen to radios while driving. The world is evolving through technology. With this, the needs and preferences of consumers are changing. As a result, an organization should find a way in which they can adapt with an objective of satisfying the needs of consumers. In my opinion, Ciocollato should be focusing on digital marketing. As an illustration, the world has become more accustom to media, digital technology and smart technology gadgets thus eliminating room for traditional methods of advertisement. Take for instance, with the rise of the number of smartphone user not only in Australia but across the globe; there has been a shift on the needs and preference of consumers (Carah, Meurk, Males & Brown, 2018). This will require organizations to change their approach when it comes to making their products known both locally and internationally. Digital media marketing has many objectives compared to radio which is a traditional form of advertisement. Some of these objectives include; optimization of online presence, searching for both local and international target audience, the establishment of effective communication skills with the target audience where they can contribute towards new product development, educating the world about the company and products being produced. Other objectives include; increasing brand identity, comprehending rivalry with the target market, setting up future objectives and targets based on consumer behavior and preferences, building ideas and understanding different behaviors of their targeted audience (Camilleri, 2018). With these objectives, Ciocollato can achieve many goals within a short period. Additionally, the ideas generated can be used towards formulating and adopting strategies that will make the organization stay competitive within the competitive market. Digital media has different channels that can be used to reach the targeted consumers/audience. Some of these digital media channels include; Search Engine Optimization commonly referred to as SEO. With this search engine, an organization will be able to determine the rank of your website and compare it with rival organizations. This is something that can’t be done through a radio. Take, for instance; an organization won’t be able to determine the number of listeners listening to an advert through the radio. However, when it comes to digital marketing, Ciocollato and other organization can be able to determine the number of users based on ranks (Luxton, Reid & Mavondo, 2015). This is advantageous because it is possible to know the number of consumers visiting the website from the comfort of your desk. Social media marketing is an additional channel that can be used. With this, Ciocollato will be able to identify website activity and traffic, brand awareness, conversion with consumers both locally and globally. Lastly, there will be brand building through the sharing of ideas with consumers over the internet (Gharakhani, Svensson & Larsson, 2018). From this illustration, digital marketing utilizes the internet to disperse ideas and thought on a large scale. With this, an organization will be able to increase brand awareness and also essential when targeting a specific type of consumers within a large population. Digital marketing is a practical approach to reaching potential clients. The success of digital media marketing will depend on its educative level, engagement with consumers, promotional and objective. When it comes to cost comparison, radio is expensive whereas digital marketing is affordable. In some cases, there is no cost when creating a social media page or Twitter. Therefore, the cost that can be used or radio advertisement should be diverted into a different organizational activity. There are more advantages that digital media marketing has over radio advertisement. One of the advantages include; there will be high conversion rates with targeted audiences. This is not possible when it comes to a radio advertisement. This is because, radio is a one-way communication whereas digital marketing is two-way marketing involving the reactions of the consumers (Pavlou & Stewart, 2015). Studies have shown that the use of social media has increased over the last two decades. This is because social media has created a platform were families, friends and communities can interact without restriction or any geographical boundaries (Valos, Haji Habibi, Casidy, Driesener, & Maplestone, 2016). With this level of conversion and communication, there will be improved customer satisfaction due to increased involvement during product development (Nunan, Sibai, Schivinski & Christodoulides, 2018). With radio advertisement, it is difficult to determine the level of satisfaction in regards to consumers. When consumers are satisfied, there will be increased loyalty from the consumers. Therefore, from this explanation, Cioccollato should focus on the digital market with an objective of enjoying continuous benefits on a daily basis which is not possible in a radio advertisement. Social media marketing is a powerful tool that should be used by organizations across the globe irrespective of size. It is important to note that consumers are interacting with a different brand through different social media platform. Therefore, based on my personal opinion, Cioccollato should have a different social media platform with an objective of widening its target market and audience. There are different types of social media platform which can be used by Cioccollato to reach a wide variety of audiences both locally and internationally. These platforms include; Facebook, Twitter, Instagram, and Pinterest. Use of a single media platform can limit the organization towards the generation of ideas, effective communication, identification of target markets and new consumers (Navarro, Moreno & Zerfass, 2018). It will also be an opportunity to determine the performance of rival organizations both locally and internationally (Thompson, Martin, Gee & Geurin, 2018). Most importantly, use of different social media platform can be an opportunity towards meeting with new investors or possible partnering organization through looking at its financial performance and market share. Use of different social media platform will also be a way of achieving marketing goals of the organization. Some of the goals that social media can help an organization achieve include; increasing website traffic, the establishment of conversation with consumers locally/globally, increase brand awareness, the creation of a brand identity, improvement of communication and interaction with key stakeholders/audience. Different social media platform will help in increasing social media resource planning , consistency in brand image, content promotion and tracking competitors. 1. Camilleri, M. A. (2018). Integrated Marketing Communications. In Travel Marketing, Tourism Economics and the Airline Product (pp. 85-103). Springer, Cham. 2. Carah, N., Meurk, C., Males, M., & Brown, J. (2018). Emerging social media platform approaches to alcohol marketing: a comparative analysis of the activity of the top 20 Australian alcohol brands on Facebook (2012-2014). Critical Public Health, 28(1), 70-80. 3. Gharakhani, S., Svensson, H., & Larsson, V. (2018). Can firms get away with questionable content marketing? An explanatory research about questionable content marketing on social media and its relationship with brand image. 4. Luxton, S., Reid, M., & Mavondo, F. (2015). Integrated marketing communication capability and brand performance. Journal of Advertising, 44(1), 37-46. 5. Navarro, C., Moreno, A., & Zerfass, A. (2018). Mastering the dialogic tools: Social media use and perceptions of public relations practitioners in Latin America. Journal of Communication Management, 22(1), 28-45. 6. Nunan, D., Sibai, O., Schivinski, B., & Christodoulides, G. (2018). Reflections on “social media: Influencing customer satisfaction in B2B sales” and a research agenda. Industrial Marketing Management. A bachelor thesis. 7. Paul, P., Bhuimali, A., Aithal, P. S., & Bhowmick, S. (2018). Business Information Sciences emphasizing Digital Marketing as an emerging field of Business & IT: A Study of Indian Private Universities. 8. Pavlou, P. A., & Stewart, D. W. (2015). Interactive advertising: A new conceptual framework towards integrating elements of the marketing mix. In New Meanings for Marketing in a New Millennium (pp. 218-222). Springer, Cham. 9. Thompson, A. J., Martin, A. J., Gee, S., & Geurin, A. N. (2018). Building brand and fan relationships through social media. Sport, Business and Management: An International Journal. 10. Valos, M. J., Haji Habibi, F., Casidy, R., Driesener, C. B., & Maplestone, V. L. (2016). Exploring the integration of social media within integrated marketing communication frameworks: Perspectives of services marketers. Marketing Intelligence & Planning, 34(1), 19-40. 11. VanMeter, R., Syrdal, H. A., Powell-Mantel, S., Grisaffe, D. B., & Nesson, E. T. (2018). Don't Just “Like” Me, Promote Me: How Attachment and Attitude Influence Brand Related Behaviors on Social Media. Journal of Interactive Marketing, 43, 83-97.